Greens Gunyah Museum displays extensive collections including exhibits on Brookong Station and the Shearers Riots, the development of the Bond Sheep breed, Chiangi survivor Curly Heckendorf, Anne Maree Higgins polio splint, former Deputy Prime Minister Tim Fischer and the Talking Machines. 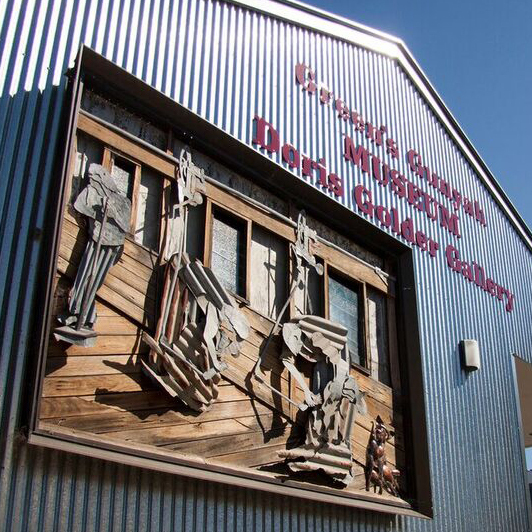 Also on permanent display in Greens Gunyah Museum is the Doris Golder Wool Art Gallery. This famous collection is the only of it’s type in the world. Pictures are made using naturally coloured wool and are a must see. The Accredited Visitor Information Centre is located at the front of the museum and merchandise can be purchased. Coach Tours are welcome. Guided town tours are available to coach groups. 7 days a week from 9-30am to 4-30pm.